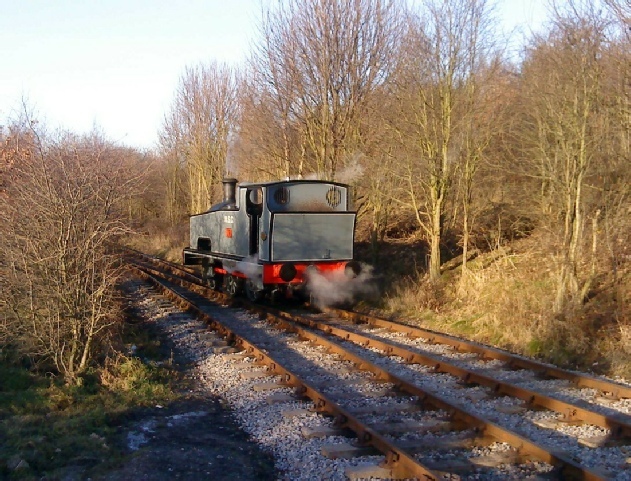 The Institution held its Annual General Meeting at the Middleton Railway, Leeds. 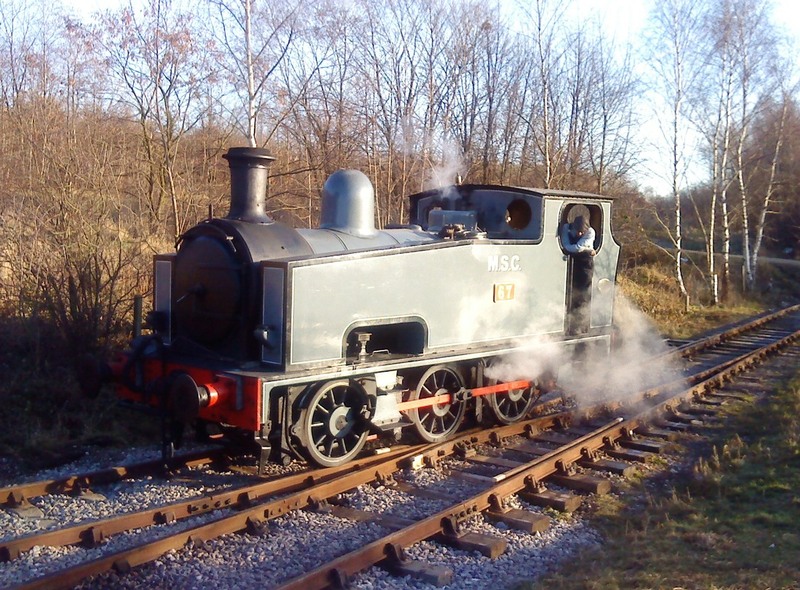 After the official AGM business was concluded, a train ride was taken from Moor Road to Park Halt. Haulage for the day was from MSC (Manchester Ship Canal) locomotive 67. 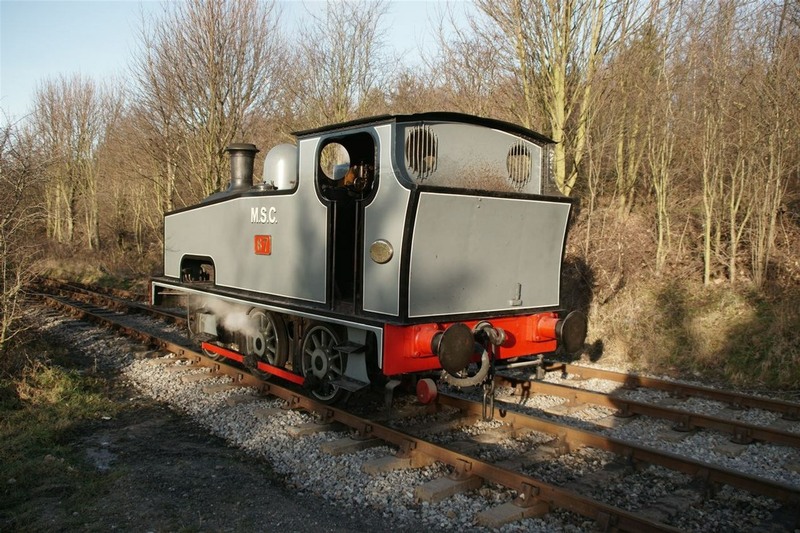 Number 67 is one of Hudswell Clarke's "long tank" design of locomotives and was purchased from new by the MSC. The MSC had one of the largest privately owned railway systems in the country. 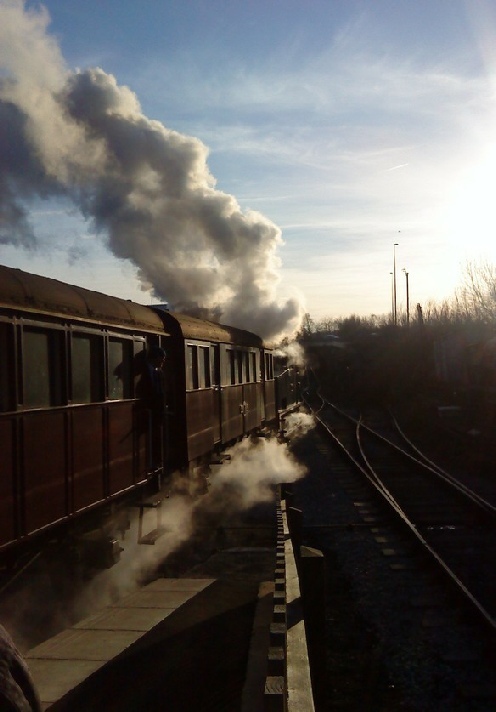 Two trips where arranged for members due to the space available on the rolling stock. © Pictures by Tom Chaffin (Photos 1-3 & 5) and Brian (Percy) Drummond (Photo 4) (c). Unfortunately only a camera phone was available for photos 1 to 3 & 5. 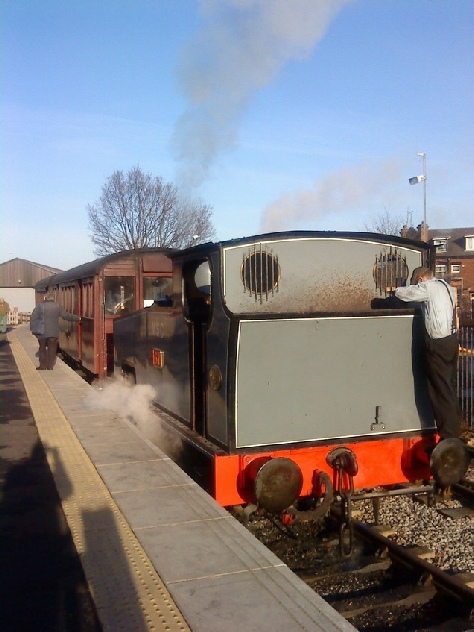 Number 67 prepares for departure on the first trip from Moor Road. 67 Runs round it's train at Park Halt.